What is Monarch Butterfly? The Meaning of Manarch is ruler, the head of a Group. You find Butterflies with many colors in nuture, but the Monarch Butterfly which having deep orange wings with black and white markings are recognised as Monarch Butterfly. The larvae feed on milkweed. The Monarch butterfly is a well-known North American butterfly. In Newzealand and Australia it is called as Wanderer Buterfly. Metamorphosis the name for rapid transformation of a larva into an adult that occurs in some insects. 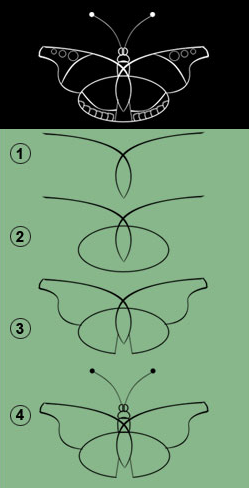 The Butterfly Goes trhough four stages to become adult butterfly. The process can be call Metamophosis. 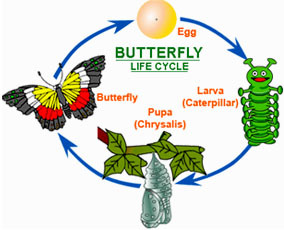 Egg:Female Butterfies lay their eggs on plants to enable Caterpiller (later stage) to get the food from plant leafs. Larva: Also called Caterpillar. It emerges from egg after few days. Caterpillar spends most of its time eating. Pupa: The Caterpillar forms a protection shield called Pupa when it has finished growing. Most of the transformation takes place in side Pupa. Butterfly: When the Pupa has finished transformation the Butterfly emerges from the Pupa. The adult Butterfly lays eggs on plants after mating period. Watch Monarch Butterfly emerging from cocoon, start to finish! It’s 5 minutes and 24 seconds long. Monarch Butterfly lay its egg on milkweeds. It always choses a safe place for the eggs. 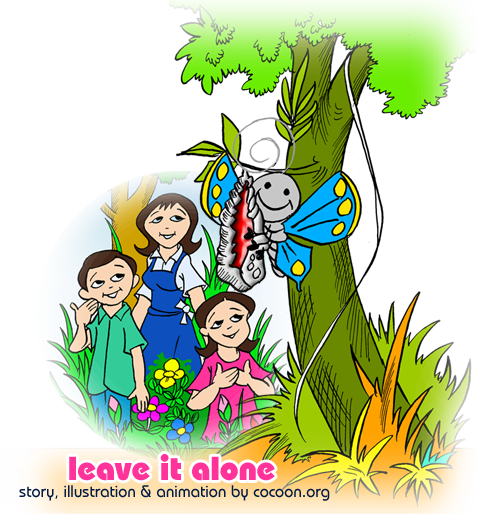 The safest place for a butterfly to lay egg is underneath a leaf. Milkweed plant not only a Host plant for Monarch mothers but also a immediate source of food for Caterpillars. Eric and Lara have just completed drawing the life cycle of the monarch butterfly in their practical notebook. On the previous day, their biology teacher explained the life history of the monarch. 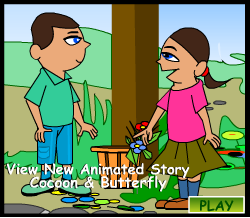 Eric and Lara were all admiration for the butterfly. The monarch undertakes long migrations. It lays eggs on the milk weed. Eggs hatch into caterpillars. The caterpillars eat and grow. When they mature, they attach themselves to a twig and enter the next stage called the chrysalis. The chrysalis is the most crucial stage in the life history of a butterfly. It is a cocoon inside which the larva undergoes metamorphosis. From the chrysalis emerges the young butterfly…..